I’ve always made things and it has never been in order to be economical. For me it isn’t about ‘making do’ it is about ‘making more’ of everything, all about using what is right there at your fingertips to make life special and enjoyable and your quality of life the best it can be. This means buying the best materials and ingredients, not necessarily the cheapest. I learnt to knit and sew from my Mum, learnt to cook with Delia, learnt to grow things from reading books and from getting out there and digging, and learnt about design by looking, looking, looking. Growing up I longed for shop-bought things instead of handmade but eventually I realised I could make things that were much better than anything you can buy in a shop, so then I opened a shop. 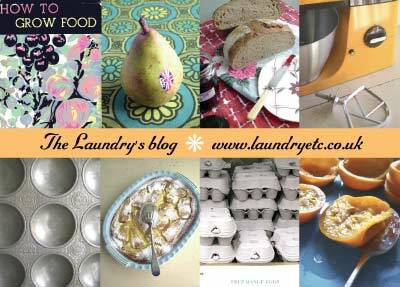 Read my first post ‘Life, Living & Laundry’ for the blog outline.